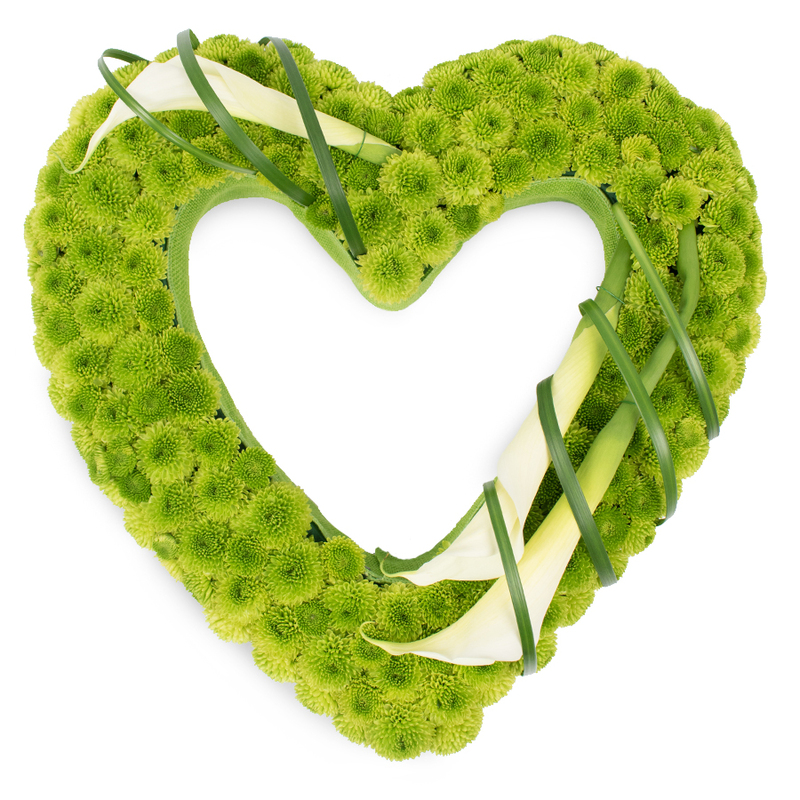 Send a beautiful symbol of your appreciation, love and gratitude with an elegant open heart tribute feauturing fresh mini green chrysanthemums and elegant calla lilies. Delivered as requested. All of the flowers were freshly cut. Highly recommend this company. The funeral flowers arrived safely and looked just lovely. Big thank you to all the people who arranged my order. Splendid flower arrangement. The couriers came on time. I can't find enough words to express how grateful I am to this company for delivering the most beautiful tribute. It was wonderfully arranged and delivered right on time for the memorial service. Very professional company!